Polaris’ PFRM series is a top performance Frequency Reference Modules used in a variety of applications – Reference Frequency Generation Phase Noise Measurements, Military Electronic Systems, SATCOM, Instruments Frequency Synchronization, and Telecommunications Standards and more. We provide two types of PFRM series: PFRM-4 series and PFRM-1 series. The PFRM-4 series is a 4-Channel Frequency Reference Module that provides a highly stable sine wave outputs. This series is categorized into PFRM-4-10 series which output 10MHz, PFRM-4-50 series which output 50MHz and PFRM-4-100 series which output 100MHz. 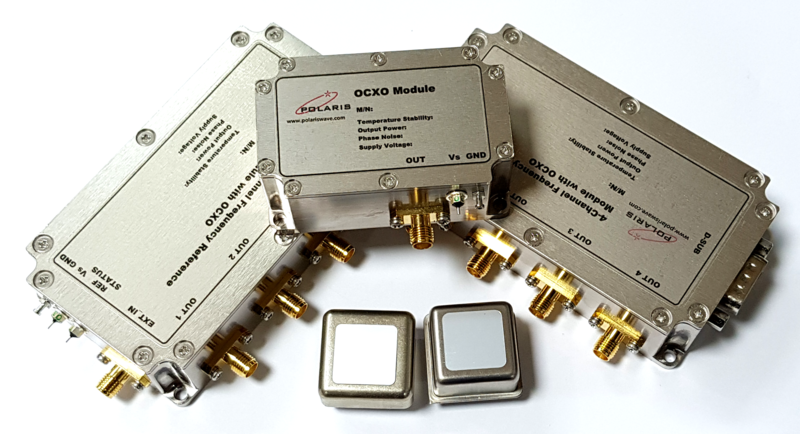 The OCXO housed into this series provides a very stable temperature stability over operating temperature range and excellent phase noise performance. The PFRM-1 series is a Single Channel OCXO Module that provides a highly stable sine wave outputs. 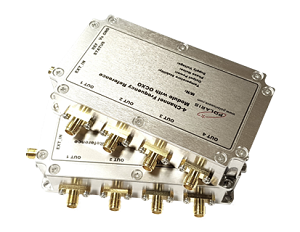 This series is categorized into PFRM-1-10 series which output 10MHz, PFRM-1-50 series which output 50MHz and PFRM-1-100 series which output 100MHz. 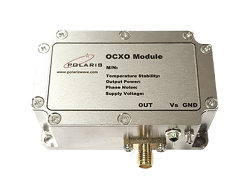 The OCXO housed into this series provides a very stable temperature stability over operating temperature range and excellent phase noise performance.